In the age of technology, even the most reluctant seniors are starting to get involved. Internet connectivity in care facilities is becoming essential to keep in touch with friends and family. Residents can utilize video chat and messaging services to continue relationships with loved ones they may not see very often. They also can keep up with their relatives on social media. The ability to connect with the rest of the world will help emotionally satisfy care facility residents who may feel they are missing moments with their beloved family and friends. 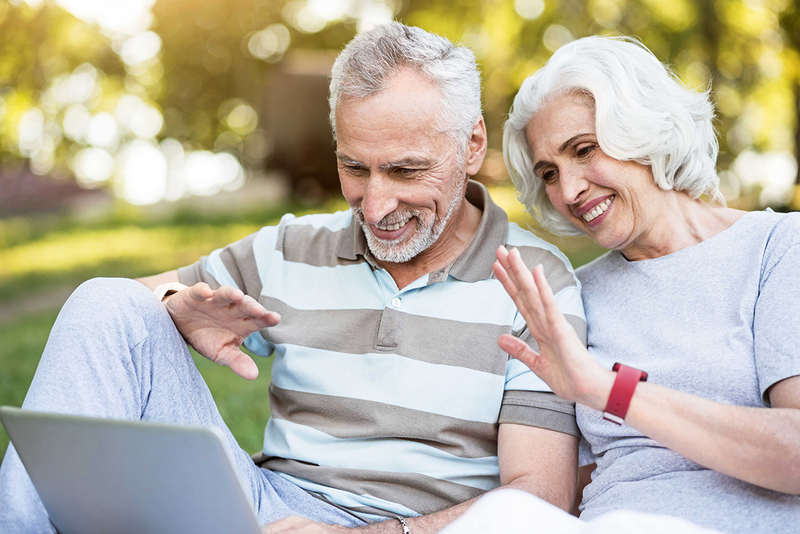 Technology companies such as Linked Senior supply senior care facilities, such as CareOne, with the ability to provide residents person-centered care through life enrichment and dementia engagement using simple technology and non-drug therapy. Additionally, technology hubs are becoming increasingly popular in nursing homes. These areas provide an environment for residents to mingle with each other, and a place to use the web. Technology hubs allow for unmatched social interaction since users will get to make friends and strengthen bonds both in person and online. A focus on rehabilitation has led to technological advancements that help caregivers monitor their patients more closely. As more and more technology is integrated into care facilities, residents can receive personal devices or wearable tech that allow staff to track their health at any given time. For instance, certain iPad software can track daily meals, medications, and activities. Programs like this allow health care providers to monitor a patient’s recovery process, notice any trends and identify any indicators of another health problem. Wearable technology provides caregivers with timely data and accurate information about the state of a patient. Fitbits, Apple Watches and other smart watches track heart rate and activity levels which can aid in assessing a patient’s rehabilitation progress. Smart devices allow seniors to maintain their independence as they age, while also increasing activity levels. These electronic gadgets are highly interactive and allow the user to connect to the internet or other devices. Smart devices understand basic verbal commands, which greatly helps seniors complete their day-to-day tasks. Products like Amazon’s Alexa or Google Home can help family members monitor a senior who is living independently at home. These smart devices can be programmed to remind the user of the type of medication that needs to be taken, as well as when the medicine should be taken and what dosage should be administered. The artificial intelligence will ask the user if the medication was taken, and after connecting to an app, an email will be sent to the user’s family members notifying them of their loved one’s answer. Smart devices similar to Amazon’s Alexa or Google Home can link up to other smart devices to control other things around the house such as smart outlets, smart door locks, smart televisions or smart thermostats. Smart detection devices can keep seniors out of harm’s way and enhance their quality of life. For example, smart stove alarms alert users before toxic gases are produced, and smart fridges detect low food supply and automatically order more groceries. Smart home security systems can lock doors, set house alarms, and notify caregivers of any problems. Placing interconnected smart devices throughout homes or senior facilities can revolutionize senior care. New advances in technology also can aid in keeping seniors safe, allowing them more independence and giving you peace of mind. These new tools can call for medical help, monitor a person’s health, and notify a staff member when a resident needs assistance. Innovations like alert buttons let loved ones living alone rest easy knowing that they have a way to contact help in case of an emergency. The buttons are available as necklaces or small remotes, and can even be affixed to a wall, letting users have help readily available whenever they need it. After they push the button, emergency services are called and will arrive in minutes. This kind of technology can also call for assistance in less crucial situations. Within nursing homes, alert systems can be used to track and notify staff when a resident needs something, ranging from a meal to medical attention. This allows for a senior to easily get the aid they need, and for their caregivers to use their time more effectively. Monitors and sensors are another way that technology can improve the lives of seniors. They can track many of the users’ health issues. By tracking sleep, a caretaker can see if a resident needs assistance during the night. A blood sugar monitor can even replace painful needles. In patients who need their vitals monitored, there is technology to constantly read heart rates, breathing patterns, temperature and more. This can potentially save lives by notifying the staff of any irregular readings. They enable elderly people to stay in their homes and remain independent for longer while allowing care providers to better budget their time, provide a higher level of care and be in more frequent contact with the patient. Most seniors have to manage multiple medicines daily, which can become a stressful task. If a patient forgets to take a medication or takes the wrong one, the consequences can be very serious, which is why it’s important to have a reliable way to remember to take them. That’s where technology comes in. There are new apps and programs on the market to track and remind patients, allowing users to easily and effectively take their medicine. An often forgotten part of senior care is the management of the home. Everyone wants to be interacting with residents but someone has to keep the place running. Luckily, technology can help the staff with their daily management tasks, allowing them to spend their time where their passion is — engaging with the seniors. Billing is moving online, which makes the process easier for both the staff and the customer. Instead of having to mail a check or deposit in person, online billing can automatically charge an account, leaving one less thing for customers to worry about. Online billing automatically files everything, minimizing mistakes and saving time on the staff’s end. Managing the day-to-day needs of a home can also be done through technology. Schedules and assignments can be created through an online program, which saves time and makes information more accessible. These advancements let workers focus less on logistics and more on the seniors in their care. Overall, new innovations in technology allow for more effective elder care. These tools can keep our loved ones safe, manage a home, and keep seniors connected with the world. These advancements will only evolve over time, as more and more tech-savvy residents begin seeking out senior care. Homes integrating technology will have happy, independent residents, living safer, more fulfilling lives. Daniel E. Straus is President and CEO of CareOne, a premier family-owned healthcare company with more than 30 centers in New Jersey. He is also Chairman of InnovaCare Health, a managed health plan with a strong presence in Southern California as well as Puerto Rico. In addition, Mr. Straus operates a family office that invests in hedge funds, private equity and real estate.